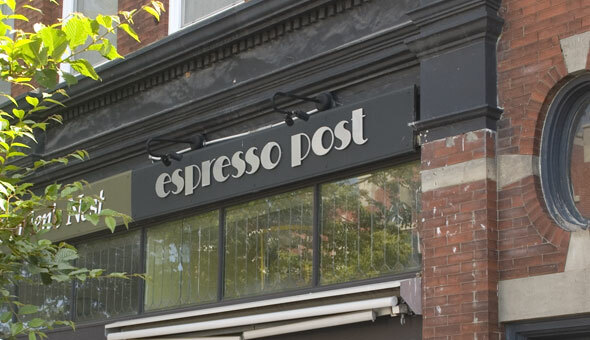 Located in what was formerly the village Post Office, Espresso Post is a cafe on Hurontario St. near Third St. in downtown Collingwood known for their coffees as well as freshly baked pastries, cakes and sandwiches made fresh daily. Espresso Post also offers coffee and lunch catering, contact them for more information. Winner of several regional and national Barista and business awards.